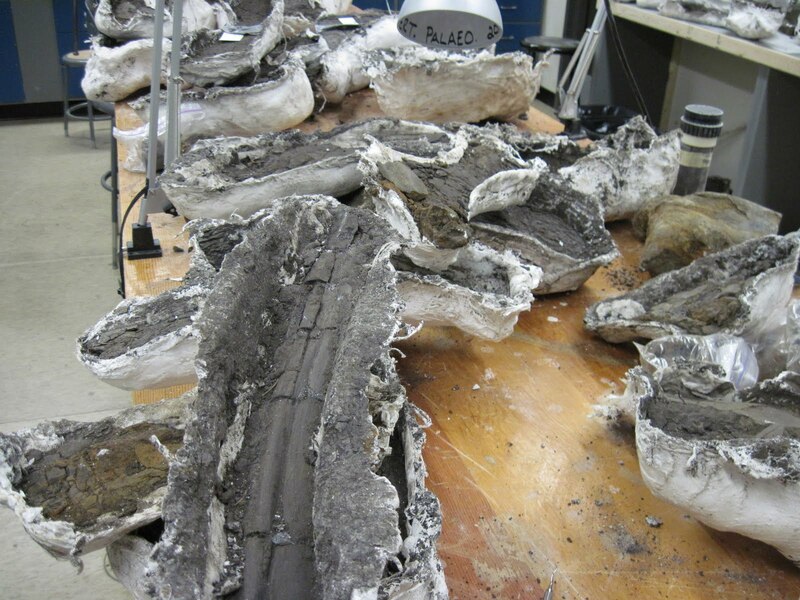 These dark grey bones are this year’s harvest of hadrosaur material from the Danek bonebed located within the city of Edmonton. The U of A offers a fourth-year vertebrate palaeontology field course (PALEO 400), which for the last several years has taken place at this bonebed. It’s an excellent locality as students can return home in the evening, it is easy to access, the matrix is comparatively soft and the bones are comparatively hard. 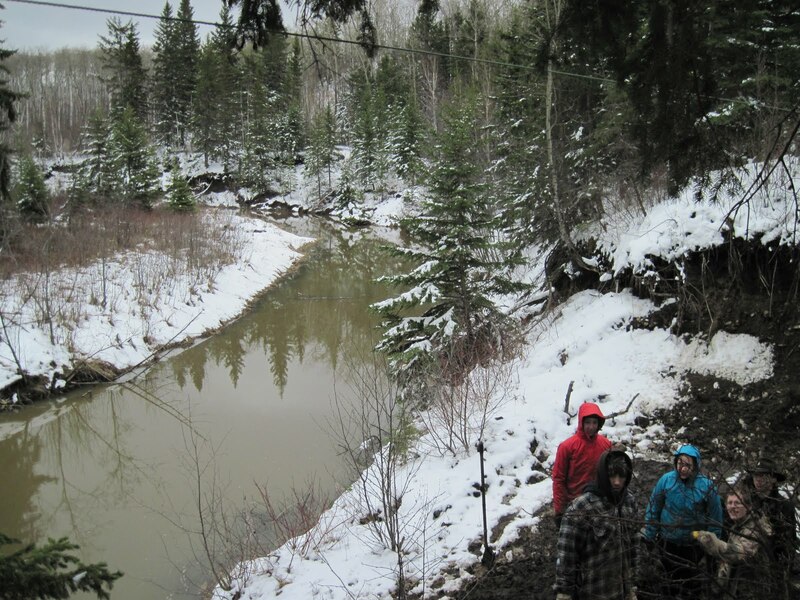 Each student participates in three weeks of fieldwork and will do either a research paper or talk based on the bonebed. The bonebed has only been described in a few conference abstracts so far, so I won’t say too much about it. I can say that we have collected quite a lot of material, and it is pretty neat to have a dinosaur bonebed right within a large city. We have excavated an area adjacent to a creek, and it is a very nice spot to sit and dig all day. 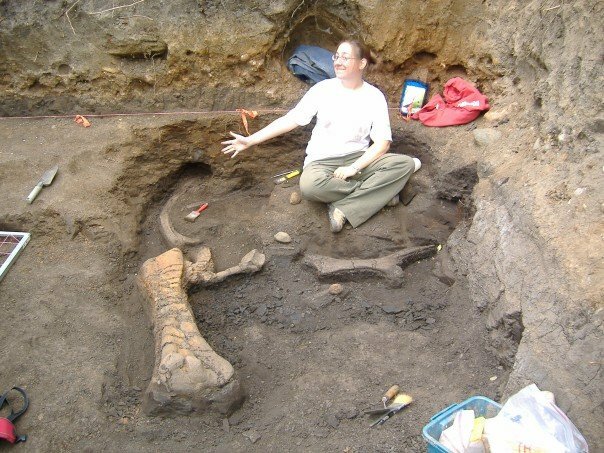 I did not make it out this year because of travel, but here are a few photos from the first year we worked this site, 2007. The bonebed is quite photogenic and several times local news have come to the site to do stories (we even made it onto the National one time). The density may not be as great as some of the ceratopsian bonebeds in Alberta like the Pipestone Creek Pachyrhinosaurus bonebed, but there are still a lot of bones in the relatively small areas we have excavated. 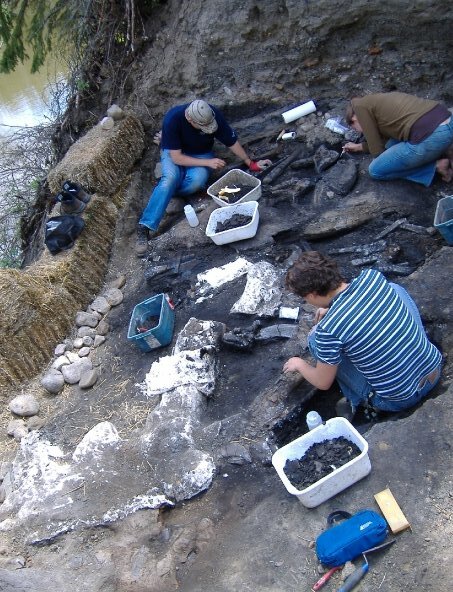 Dinosaur bones can also be encountered in the North Saskatchewan River valley, but generally only as very scrappy fragments. 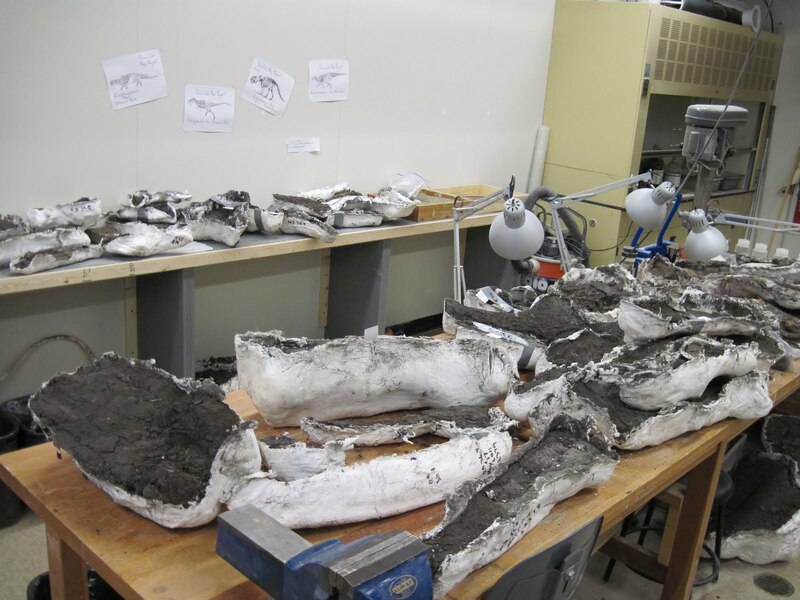 Last fall hadrosaur and tyrannosaur bits were discovered during excavations for a new sewer, which I discussed in the Edmonton’s Sewersaurus post. From what I understand, the preservation is similar to what we find at the Danek bonebed. I would bet that there’s a good chance if you dug deep enough pretty much anywhere in Edmonton, you’d find dinosaur bones. Shoveling snow and then dirt! What an interesting field course. Wonderful photos of the site and some of the finds.